One Small Step For Video Games, One Giant Video To Announce It All. In a recent video, Gears for Breakfast announced that the PC version of their 3D platforming title, A Hat In Time, will be getting the first of two planned DLC packs soon, and alongside that, a free update that lets you play the entire campaign in split-screen co-op! Both of these will be available on September 13th, and while it sounds like the co-op will always be free for players, the “Seal the Deal” DLC will be free on release day, with the price rising to $4.99 after that. In addition to this DLC news, the video officially announces that the game will be making its way to the Nintendo Switch with a tantalizing “coming soon” time frame. Unfortunately, it appears that the DLC and co-op are only headed to the PC version for now, with no word on when they might be available on the PlayStation 4 or Xbox One, or if it will be available for the Switch version when it launches. The full video covering all of the DLC, co-op, and Nintendo Switch version can be found below, but if you (like us here at Co-Optimus) are excited about the co-op, you can find that bit of news at the 3:10 mark. 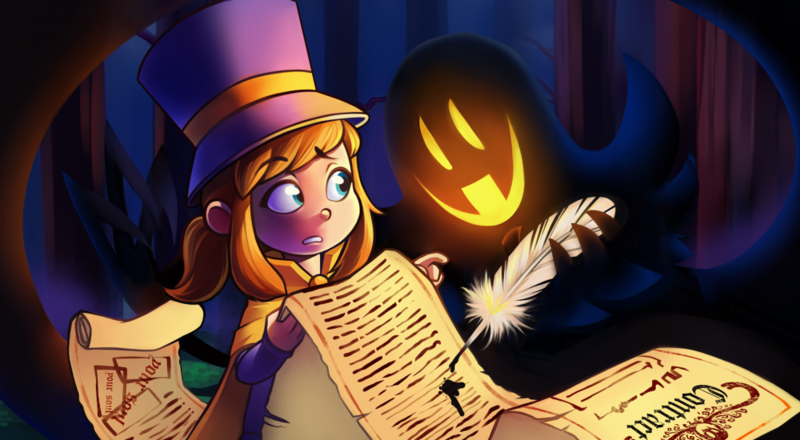 Are you ready to grab a friend and head out into A Hat In Time’s co-op platforming fun, or will you be waiting for the upcoming Nintendo Switch version? Let us know in the comments below! Page created in 0.9335 seconds.